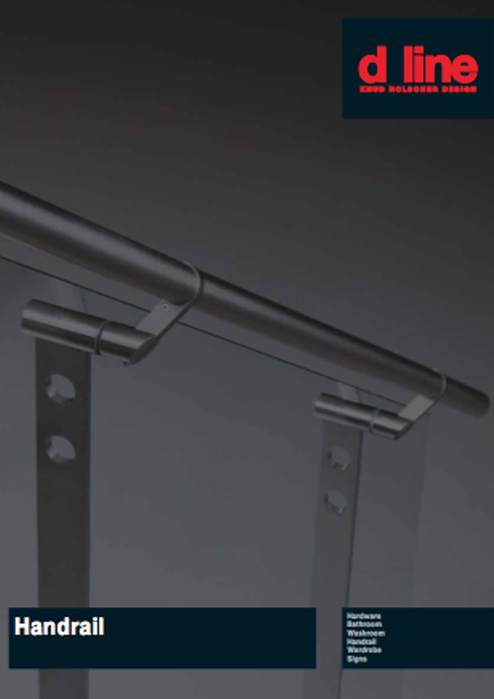 Modular components are the basis of the d line Handrail system. d line balustrades are crafted from a variety of elements specifically designed to allow the balustrade as a whole to mould itself to the inherent structural variations of staircase geometries. The primary material used in d line’s Handrail system is 316 L stainless steel; a choice based on the superior qualities of hygiene, strength and endurance. Flexibility: easily assemble or dis-assemble, remove part or all of system in order to repair, alter design, refurbish etc. No aesthetic compromises: flawless manufacture prevents damage inflicted by grinding, welding, polishing etc. Pre-engineered: all facets concerning design, strength, production and installation are integrated into a thoroughly meditated concept. Speed: readily available components delivered to site in a matter of days. Pre-engineered mounting techniques allow system to fall in place like building blocks.